GSAT-8 / INSAT-4G is an Indian Ku-band satellite carrying 18 transponders similar to that of INSAT-4A and INSAT-4B. It carries 2 BSS transponders and a GAGAN (Navstar Aided Geo Augmented Navigation) payload (satellite navigation for aviation). The satellite was originally planned to be launched during 2008-09, but was postponed until 2011. 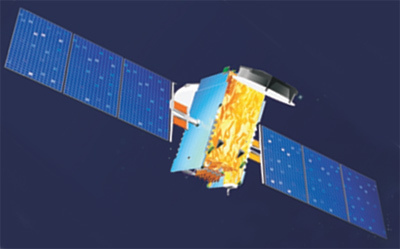 INSAT-4 series is planned to have seven satellites, INSAT-4A through INSAT-4G. The transponder capacity of this series has been worked out after evaluating the requirement projected by different uses/user departments. It is planned that, by 2007, INSAT system will have about 250 transponders in various bands catering to a demand of up to 11 GigaBits Per Second (GBPS) capacity.